Many Chinese news portals lead with the story of a brutal attack on children in a kindergarten in Jiangsu’s Taixing Town, Taizhou City, at 9:40am. “The Jiangsu Provincial Police Command Center said that on the morning of the 29th a brutal attack occurred at Taixing Central Kindergarten. Twenty-six children suffered injuries. The perpetrator of the attack has been subdued, and the details of the situation are being further assessed,” Xinhua News Agency reported. 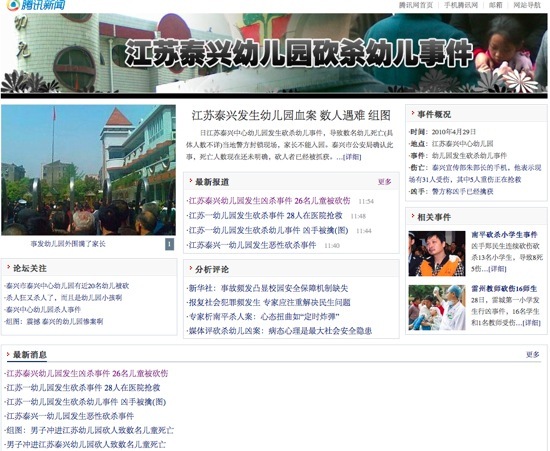 QQ.com sets up a special page dealing with the tragedy within two hours of the incident. CLICK HERE for a SLIDESHOW from the scene of the attack on April 29. According to a report from Voice of China’s CNR News (央广新闻) at 11:18am, a brutal knife attack occurred this morning (29th) at the Taixing Central Kindergarten in Taixing Town of Jiangsu Province’s Taixing City. Mr. Zhou, a taxi driver in Jiangsu’s Taixing City, called Voice of China to say that a vicious attack had occurred this morning at Taixing Central Kindergarten in Taixing City, Jiangsu Province. According to Mr. Zhou, the kindergarten has already been closed off [by police] and a police cordon has already been drawn around the entrance to the Taixing City People’s Hospital. Injured children have already been dispatched to the hospital’s emergency room for treatment. This reporter immediately contacted the People’s Kindergarten in Taixing Town, Taixing City, and a personnel member at the kindergarten confirmed that the injured children were all from the second junior kindergarten class (小二班) at Taixing Central Kindergarten. But the specific number of [injured] persons has not been confirmed. An employee at the Taixing City People’s Hospital told this reporter that the Taixing City People’s Hospital was already treating 26 children in its emergency center. Two adults who should be teachers at the kindergarten are also receiving emergency treatment in the emergency center. The situation is still under investigation. (China National Radio, Liu Li/刘黎). [BELOW] Photos from the scene of Taixing Central Kindergarten, posted at QQ.com by noon on the day of attack, April 29th. Concerning online rumors saying that Jiangsu’s Taixing Central Kindergarten in Taixing City is an elite kindergarten (贵族幼儿园), and that the sons and daughters of [local] officials attend [school there]. Addressing this, Division Chief Meng of the Propaganda Office of the Taixing City Party Committee offered his denial. Many Internet users have also confirmed this, saying that Central Kindergarten is an normal facility, while Taixing’s best kindergarten lies just to the north of Central Kindergarten. At 9:40am this morning, a vicious knife attack occurred at Jiangsu’s Taixing Central Kindergarten in Taixing City, injuring 31 people, five of them with life-threatening injuries. The victims have been sent to the hospital. The perpetrator of the knife attack has been taken into custody. 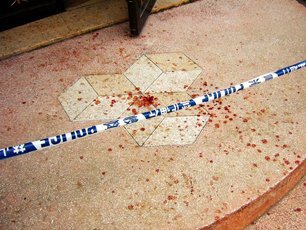 A vicious knife attack has occurred at Jiangsu’s Taixing Central Kindergarten in Taixing City. Xinhua News Agency, April 29 dispatch (reporter Wang Junyong/王骏勇, Shi Yonghong/石永红) — According to information provided by the Public Security Department of Jiangsu Province, the perpetrator who entered Jiangsu’s Taixing Central Kindergarten in Taixing City with a knife and injured 31 people has been identified. 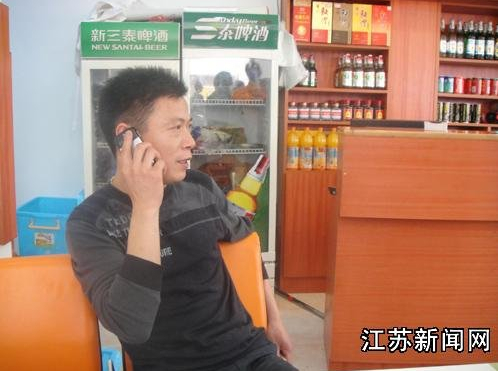 His name is Xu Yuyuan (徐玉元), he was born in 1963, is 47 years old this year and he is a jobless local from Taixing. He previously worked as a local insurance company, but in 2001 was dismissed by his work unit. Before this, he was involved in illegal pyramid scheme activities. According to Taizhou City Politics and Law Committee Secretary Gao Jiming (高纪明), 31 people have been injured [in the attack], five of them critically, including two children, one security guard, one teacher and one volunteer. As of 12:20pm there had been no deaths. The scene of the attack by the suspect in the case, Xu Yuyuan, was the kindergarten’s second junior kindergarten class. The motive of the crime is still under investigation. Gao Jiming said that leaders from Taizhou and Taixing City has already reached the scene. At the moment they are sparing no expense or effort in saving those injured in the attack, devoting a special medical team and work team to each child. At the same time they are sparing no effort in maintaining stability (做好稳定工作), and to prevent lawless elements from disturbing the social order. All schools in the city have been notified to work to maintain stability and ensure order. 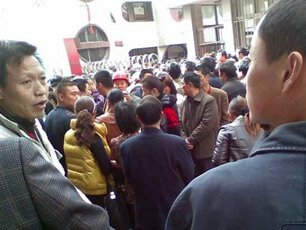 At noon today the reporter saw on the scene that the main entrance to the kindergarten had already been locked, and hundreds of people had gathered around the scene to watch. Traffic controls were being carried out on the road up to the school entrance. A forensic investigation is underway in the classroom building on the south side of the school grounds. China News Service reports in its latest story on the attack on a kindergarten in Taixing, Jiangsu Province, (2:41pm) that the perpetrator was stopped in the midst of his attack this morning by gallant members of the public who used a fire extinguisher on the man. Hu Xudong (胡旭东), a local shop owner who had a workman installing curtains at the shop this morning, said he heard screams of “murder” and ran into the school, where he saw children crying on the floor, many with cuts on their faces. They immediately dialed [the emergency number] 110, and when police arrived on the scene, Hu, the workman and several others joined police in subduing the attacker using mops and brooms. Hu’s workman then grabbed a fire extinguisher from the shop and used it to knock the attacker down. China News Service, Taizhou, April 29 (Reporter Cui Guiming/崔佳明 — Liang Baohua (梁保华), Secretary of the Jiangsu Provincial Party Committee, reached the People’s Hospital in Taixing City at 3pm today to visit the injured children. 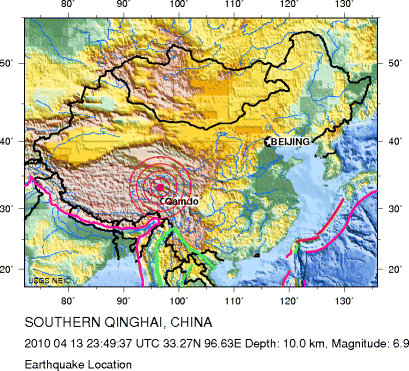 Taixing is a small city on the north bank of the Yangtze River, 200 kilometers from Nanjing. The journey from Nanjing to Taixing by car takes about two and a half to three hours. Provincial Party Secretary Liang Baohua reached Taizhou County at noon. Taixing People’s Hospital is the best local hospital. The reporter witnessed at the hospital that the victims of this morning’s attack on the Taixing Central Kindergarten were undergoing surgery, and at the moment their condition is unclear. China Youth Daily reports remarks from two Chinese academics who say news media should be cautious in their coverage of yesterday’s attack at a kindergarten in Taizhou, Jiangsu Province. Criminal psychologist Li Meijin (李玫瑾) of Chinese People’s Public Security University is quoted as saying that she refused interviews early on in the Nanping school attack because she “did not want to offer objective help to the perpetrator in creating the terror effect they were looking for.” Li called the Taizhou attack and similar attacks “acts of personal terrorism.” Ma Ai (马皑), a scholar of forensic psychology in Beijing, said media should take a “cool” approach to this recent tragedy. “Reports of criminal cases are double-edged swords, and they cannot escape having negative effects,” said Ma. Li Meijin said that as scholars they needed to look carefully into these cases. But towards the public, she said, the media should “tone down” its reports. Should the media ‘tone down’ reporting of school attacks? From Nanping in Fujian Province, to Taizhou in Jiangsu, there have lately been a number of attacks on children that have shaken our society. And as we’ve reflected on these tragedies, a new interest has been triggered in the issue of media ethics. Those supporting such action argue that said that the lower levels of our society are prone to emotional responses, and that by “exaggerating” (过度渲染) these responses the media could put more innocent children at risk. I want to start by correcting some of these exaggerated statements. It is a bit sophistic and misleading to confute the idea of having an “obligation to share anything and everything” and “exaggeration.” There’s no need to argue too much about this. I think most people would agree that the media should not report absolutely everything. Moreover, in reporting cases of homicide, mass media need to show a degree of restraint. They should not exaggerate the process of the crime or the horrors of the scene. And when the needs arises, of course they must respect the privacy of the victims. What I want to talk about here is whether or not media must or should report on this kind of incident — or whether they should report so heavily on such cases. Media reports certainly can offer example and inspiration to potential attackers, suggesting to them that physical violence might present an outlet for the venting of their own frustrations or “grievances.” Of course, those who would limit media reports on these grounds see only one aspect of the role of the news media. The social impact of media reports is diverse and intermixed, and we have to consider a number of aspects together before we can reach a conclusion. There are at least four aspects we should take into consideration. First of all, the public has a right to know, and they wish to understand the environment in which they live. They want to know what is happening right next to them, and know what problems face our society. Naturally, there are national secrets that cannot be shared publicly. But too many secrets will cause the distortion of society. Besides, if we don’t view public opinion narrowly as the publication of information in mainstream media and on official websites, then the blocking of information is futile anyway. Information won’t spread less quickly by word of mouth. Quite the opposite, rumors and exaggeration will fly. Secondly, it is a mark of respect and condolence to the victims for the media to draw the attention of the public to such a tragedy, voicing sympathy with the victims and their families, and denouncing the perpetrator. This is a way of caring for and helping the family members of the victims. If such a tragedy were to happen beyond the gaze of society, our insensible joy would no doubt add to the pain of the victims and their families. Thirdly, media reports serve as a warning system, and in particular put pressure on those responsible for managing our society. They compel everyone to reflect on social problems that face us. That we need to ease underlying social tensions, and that we need to reexamine safety measures at our kindergartens and schools in order to be prepared for the future. Fourth, news reports on tragedies like this are not simply setting an example to possible future perpetrators — they can also serve as a warning and caution. The suffering of the victims might reawaken the conscience of possible perpetrators. And the outrage of the public might allow cause to see that this sort of act is no way to vent their own frustrations. There is no possible way of knowing how many people are exhorted to violence by media reports of this kind, and how many are encouraged to set their knives down. For those who have already set their wills on seeking revenge against society, the silence of the media on a tragedy like this one might encourage even more ambitious acts of violence. Their goal is to create terror in the public mind. So killing one does not move you — how about ten, one-hundred, a thousand? This is the logic of the terrorist. Therefore, it is most important to talk about issues like this, and to think of ways we can prevent them from happening in the future. My guess is that those who oppose media reporting of cases like this would not agree that the community should utterly ignore them. They would suggest that internal channels be used, allowing leaders to understand the situation. Naturally, government leaders will prioritize these cases and find ways to prevent them. But this way of thinking has already been shown to be false. The prevailing modern view of politics is that it is not essentially virtuous, that only supervision and restriction of power by the will of the people can ensure that power is exercised in their interests. And the will of the people is voiced chiefly through public opinion. What we can be certain of is that those most opposed to media reporting of incidents like this are local officials. Officials will use any manner of tactics to prevent reporting by the media, while family members of the victims will do everything in their power to get the news out. If you carefully consider the reasons for this difference, you will no longer see only the negative side of media reporting. This article was originally posted in Chinese at Southern Metropolis Daily.